Let's see how we can code this effect, how we can enhance it with rounded corners, extend support so it works cross-browser, what the future will bring in this department and what other interesting results we can get starting from the same idea! Alright, you may be seeing already where this is going! The next step is to blur() the pseudo-element. Since this pseudo-element is only visible only underneath the partially transparent border (the rest is covered by its parent's padding-box-restricted background), it results the border area is the only area of the image we see blurred. We've also brought the alpha of the element's border-color down to .03 because we want the blurriness to be doing most of the job of highlighting where the border is. This may look done, but there's something I still don't like: the edges of the pseudo-element are now blurred as well. So let's fix that! One convenient thing when it comes to the order browsers apply properties in is that filters are applied before clipping. While this is not what we want and makes us resort to inconvenient workarounds in a lot of other cases... right here, it proves to be really useful! My preferred way of doing this is by setting clip-path to inset(0) because... it's the simplest way of doing it, really! polygon(0 0, 100% 0, 100% 100%, 0 100%) would be overkill. In case you're wondering why not set the clip-path on the actual element instead of setting it on the :before pseudo-element, this is because setting clip-path on the element would make it a stacking context. This would force all its child elements (and consequently, its blurred :before pseudo-element as well) to be contained within it and, therefore, in front of its background. And then no nuclear z-index or !important could change that. Alright, but what if we need to support Edge? clip-path doesn't work in Edge, but filter does, which means we do get the blurred border, but no sharp cut limits. And our demo now works in Edge... sort of! The right, bottom and left edges are cut sharply, but the top one still remains blurred (only in the Debug mode of the Pen, all seems fine for the iframe in the Editor View). And opening DevTools or right clicking in the Edge window or clicking anywhere outside this window makes the effect of this property vanish. Bug of the month right there! Alright, since this is so unreliable and it doesn't even help us if we want rounded corners, let's try another approach! This is a bit like scratching behind the left ear with the right foot (or the other way around, depending on which side is your more flexible one), but it's the only way I can think of to make it work in Edge. Some of you may have already been screaming at the screen something like "but Ana... overflow: hidden!" and yes, that's what we're going for now. I've avoided it initially because of the way it works: it cuts out all descendant content outside the padding-box. Not outside the border-box, as we've done by clipping! This means we need to ditch the real border and emulate it with padding, which I'm not exactly delighted about because it can lead to more complications, but let's take it one step at a time! As far as code changes are concerned, the first thing we do is remove all border-related properties and set the border-width value as the padding. We then set overflow: hidden and restrict the background of the actual element to the content-box. Finally, we reset the pseudo-element's background-clip to the padding-box value and zero its offsets. So why didn't we do this from the very beginning?! Well, let's say we want to have some text. With the first method, using an actual border and clip-path, all it takes to prevent the text content from touching the blurred border is adding a padding (of let's say 1em) on our element. 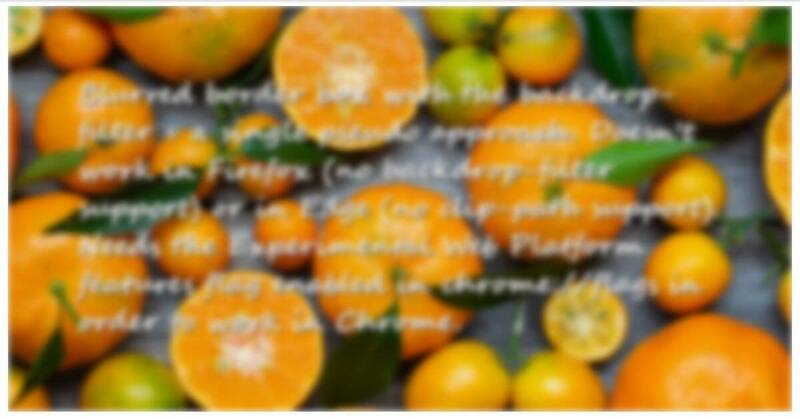 But with the overflow: hidden method, we've already used the padding property to create the blurred "border". Increasing its value doesn't help because it only increases the fake border's width. What about having both text and some pretty extreme rounded corners? Well, that's something we'll discuss in another article - stay tuned! Some of you may be wondering (as I was when I started toying with various ideas in order to try to achieve this effect) whether backdrop-filter isn't an option. Technically, it is possible to get the same effect, but since Firefox doesn't yet implement it, we're cutting out Firefox support if we choose to take this route. Not to mention this approach also forces us to use both pseudo-elements if we want the best support possible for the case when our element has some text content (which means we need the pseudos and their padding-box area background to show underneath this text). Update: due to a regression, the backdrop-filter technique doesn't work in Chrome anymore, so support is now limited to Safari and Edge at best. For those who don't yet know what backdrop-filter does: it filters out what can be seen through the (partially) transparent parts of the element we apply it on. Now the :after doesn't have a background in the border area anymore and we can see through to the :before pseudo-element behind it there. We set a backdrop-filter on the :after and maybe even change that border-color from transparent to slightly visible. The bottom (:before) pseudo-element's background that's still visible through the (partially) transparent, barely distinguishable border of the :after above gets blurred as a result of applying the backdrop-filter. Remember that the live demo for this doesn't currently work in Firefox and needs the Experimental Web Platform features flag enabled in chrome://flags in order to work in Chrome. This is something I wouldn't recommend doing in the wild because it cuts out Edge support as well, but we do have a way of achieving the result we want with just one pseudo-element. We start by setting the image background on the element (we don't really need to explicitly set a border as long as we include its width in the padding) and then a partially transparent, barely visible background on the absolutely positioned pseudo-element that's covering its entire parent. We also set the backdrop-filter on this pseudo-element. Alright, but this blurs out the entire element behind the almost transparent pseudo-element, including its text. And it's no bug, this is what backdrop-filter is supposed to do. In order to fix this, we need to get rid of (not make transparent, that's completely useless in this case) the inner rectangle (whose edges are a distance $b away from the border-box edges) of the pseudo-element. And all we've done so far has used just one filter function, but we can also chain them and then the possibilities are endless - what cool effects can you come up with this way? Oh, that’s a really cool idea to use element() to get around Firefox not supporting backdrop-filter! And thanks for letting me know about filter() being already supported by Safari, I’ve now updated the article. I love the filter()function, wish more browsers would implement it! This is not implemented by any browser at this point, but the spec mentions a filter() function that will allow us to apply filters on individual background layers. Safari has had support for a while, it was pretty broken initially (with regards to the size of the filtered area, if I recall correctly) but has since improved, as far as I know. I’ve done it a bit different so there is no abrupt inner border where the blur effect ends, but it clears up gradually. 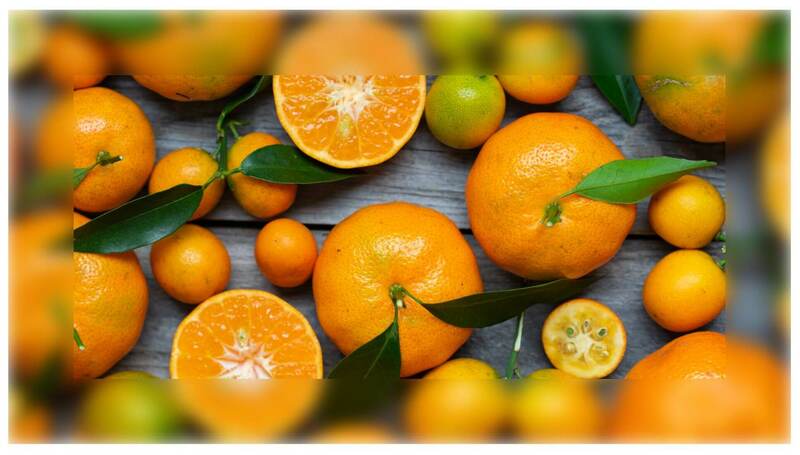 This is achieved by laying a blurred “border image” on top of the full-sized un-blurred original. If you look at the details, there is another difference: your effect still shows some transparency at the outer edges of the image, even after clipping with overflow: hidden. In my case, the bluring lessens a bit. Oh, yes. I never had any doubt SVG can provide a lot more flexibility here. It’s just that SVG filters are a bit above my level of competence. Which is also why I need to ask: do you have any idea why this SVG technique only works in Firefox? Chrome and Edge don’t show anything blurred for me. The dilation (or erosion) kernel is a rectangle with a width of 2x-radius and a height of 2y-radius… In erosion, the output pixel is the individual component-wise minimum of the corresponding R,G,B,A values in the input image’s kernel rectangle. In my example, the black-flooded area fills the filter reagion to its borders, which act acording to spec “as a hard clip clipping rectangle”. Firefox interprets this for pixels near the borders as if the pixels outside the border are transparent black, while Chrome seems not to consider these pixels at all. I tend to go with Firefox, here.